Get your free Kindle version of the book that explains why the US has lost its innovation engine – The Decline and Fall of the American Entrepreneur: How Little Known Laws and Regulations are Killing Innovation. This offer is valid through Sunday, June 24th. The book provides simple, inexpensive suggestions for how to rev up the US’s innovation engine. This book explains how little known laws passed within the last decade have crippled America’s innovation. This resulted in the stagnation in median family income that was a major contributor to the housing crisis. The evolving sovereign debt crisis, which promises to make the housing crisis look trivial by comparison, is also being exacerbated by this dearth of innovation. The book provides simple, inexpensive suggestions for how to rev up the US’s innovation engine. What Reviewers are saying about The Decline and Fall of the American Entrepreneur: How Little Known Laws and Regulations are Killing Innovation. Mr. Halling combines two topics — the impediments to entrepreneurship that have been created by theU.S. government as an unintended consequence of its pursuit of other goals and the systemic weakening of theU.S. patent system by the U.S. Supreme Court and the Congress. The resulting technological stagnation is a major reason theU.S. has gone from producing 25 percent of the World’s Gross Product in the mid 1990s to about 20 percent today. The loss is significant – about $3 trillion of U.S. GDP in 2009 alone. He demonstrates in clear terms the linkages between economic growth, productivity, and income. And he lays out how technological advancement has always been the American advantage in global competition, an advantage that theU.S. is squandering. He explains how the Sarbanes Oxley Act cut off the waves of venture investment that did so much to stimulateU.S.growth in the 1980s and 1990s, and he also explains how shifts in accounting rules as per stock options directed many of our most creative people into less than innovative activities. His final chapter contains some straight forward recommendations that involve no direct-cost regulatory changes that would once again stimulate more innovation, investment and job creation inAmerica. Amazingly, Congress is now considering a so-called “patent reform” legislation that would further diminishU.S.innovation. The author convincingly explains how this would damageU.S.innovation. He also explains the consequences of recent Supreme Court decisions on patent law. My observation is that theRoberts Courtis the most anti-patent set of Justices inU.S.history. Once Congress understands what the Court has done, their decisions need to legislatively overturned. Dr. Pat Choate, economist, former Vice Presidential running mate of Ross Perot 1996, Director of the Manufacturing Policy Institute, Phd. Economics University of Oklahoma. 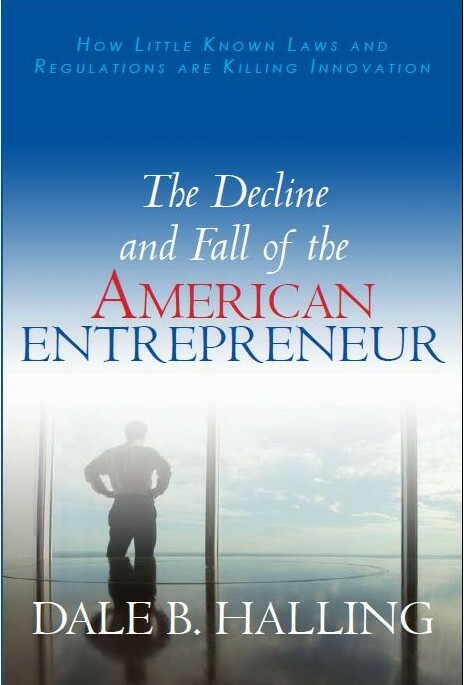 The Decline and Fall of the American Entrepreneur presents the issues facing technology start-up companies in today’s environment. The book sheds light on the underpinnings of these issues and is enthralling. Halling’s tight, accessible and personal style make this a fast and compelling read. His book is a political clarion call that should be heard now. Former President Ramtron International (RMTR) and CEO Symetrix Corporation. Both companies founded on IP. This book conclusively establishes the link between innovation and per capita income, and shows that we have recently entered into a time in which innovation is under assault. This assault has resulted in a predictable loss of income and contributed significantly to the economic woes we are experiencing right now. The book’s sound policy recommendations suggest a way to turn the economic ship around to set a course for a return to prosperity. This excellent article shows that when Canada changed from a first-to-invent system to a first-to-file system, it was bad for individual inventors, technology start-ups, and Canadian venture capital. The article then quotes a UK study showing how the European system is not encouraging innovation. The article notes that the America Invents Act will effectively eliminate the one year grace period for inventors, which is particularly important for startups. The new post grant review will allow large companies to tie up entrepreneurial companies in expensive litigation for years. The post grant procedure has been used effectively in Europe to stifle startup competitors by large companies. Unfortunately, one of the supposed benefits of the Act was to stop fee diversion. The Patent Office is completely funded by user fees and Congress has taken (stolen) these fees to support other Congressional pet projects. The result of fee diversion is that it now takes four or more years on average for a patent to issue. This pendency time results in the patent often issuing long after the commercial opportunity has passed the company by. If it took 3 to 4 years to obtain title to your car or house after you bought it, you would think you were living in a third world country. However, this is what happens in the patent world everyday and the America Invents Act does not solve this problem. The author concludes that Congress should be careful that the America Invents Act not become the equivalent of Sarbanes Oxley. This article was written by Gary Lauder is Managing Director of Lauder Partners, a Silicon Valley-based venture capitalist and co-inventor of a dozen patents. More info on this issue can be found on his Web site. Henry R. Nothhaft author of the book Great Again was interviewed on the Dylan Ratigan show on MSNBC and the Harvard Business Review blog radio. The Dylan Ratigan show focused on job creation and how all new jobs are created by startups not by small business or large corporations. Mr. Nothhaft argues thatWashington is forcing a once size fits all government on American businesses. He wants an immediate freeze on new regulations on startup business and a carve out from Sarbanes Oxley and Dodd Frank for companies with a market capitalization less than $500M. He explains that multinational companies have choices to create jobs in theUS or outside the US and suggests that large companies have decided to create jobs outside the US. While I think it is important to point out the current business climate in the US is causing companies to move overseas, the reality is that large corporations never produce large numbers of net new jobs and they are not the engine of innovation. The host attempts to argue that labor rates are the only reason that companies are relocating outside the US. Mr. Nothhaft explains that for high technology companies labor costs only represent 3% of their total expenses and it is the US tax and regulatory structure that are killing startups. One of the panel members suggests that Google, Facebook, Twitter, etc show thatSilicon Valleyand innovation in the US are doing just fine. First of all, Google was started in the late 1990s before SOX, other regulatory burdens and before the patent system in this country was undermined. SOX and the changes to our patent system have destroyed the venture capital market in theUS. Second, social media companies have not driven the entire economy like the Internet did in the 1990s and the personal computer did in the 1980s. These companies and the social media industry are isolated islands of success that have little significance to the broader economy. If the panel member had any insight to the US economy he would known that the number of technology startups has declined precipitously. The Information Technology and Innovation Foundation index ranked the US dead last among 40 countries in the change in our rate of innovation last decade and many other indicators show the US is falling behind technologically. The host of the show and the panel seemed to have no idea what Mr. Nothhaft was talking about. My guess is that the host and panel are all Wall Street experts who believe finance is the American economy. They believe in Keynesian economics in which manipulating the money supply and increasing demand by increasing government spending are all that matters. They have no idea what affects technology startups and they do not really believe they are important. They do not understand that technology startups create the inventions that increase our real per capita income. The Harvard Business Review interview again focused on how startups create jobs. 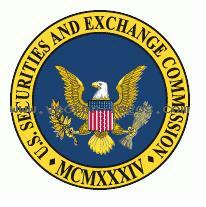 Mr. Nothhaft again argues for a two-tiered approach to SOX and other financial regulations. He argues that technology startups do not use leverage and do not pose a threat to the financial system of the US. He also points out that Lehman Brothers, AIG, Goldman Sacs, etc. were all SOX compliant going into the current financial crisis. He later explains that the patent system has been undermined by the theft of user fees from the Patent Office by Congress to the tune of over $1B in the last two decades. Congress just stole another $100M from the Patent Office in the continuing resolution bill – See Stealing From Inventors. The HBR interviewer is also ignorant of the US’s lack of innovation in the last decade. She does not understand that increases in technology are the only way to increase real per capita income. The host ends the interview with the condescending comment that it’s clearly a very complex issue. It is not complex! When the government interferes with property rights (particularly patents) and imposes absurd regulatory burdens (SOX, Dodd Frank) and the US has the highest corporate tax rate in the World it is straight forward that the result will be fewer businesses, fewer jobs, and a lower standard of living for all. I respectfully disagree with Mr. Nothhaft’s two-tier approach to SOX and other financial regulation. First of all, Mr. Nothhaft points out that SOX failed to stop financial fraud and the 2008 financial meltdown. He points out that the companies he believes should be subject to SOX were all SOX compliant, but they were also the ones that caused the financial meltdown. So if SOX does not work, why have a two-tiered approach? SOX should be repealed – period. Second, laws that only apply to certain people or businesses are the essence of tyranny. A good law should apply to all people equally, much like a law of physics/nature. When Congress exempts itself from certain laws (e.g., antidiscrimination, Social Security, Obama Care, etc) and makes convoluted tax laws to help the politically connected at the expense of the rest of the country, you know that you are on the path to tyranny. Adding another law that only applies to certain businesses will only accelerate the US’s decline into despotism. It has been a year since I published my book The Decline and Fall of the American Entrepreneur: How Little Know Laws and Regulations are Killing Innovation. The book explains that the only way to increase real per capita income is by increasing our level of technology. This can be accomplished by capital equipment purchases, which upgrade plant and equipment with newer technologies or by creation of inventions. Since the United States is a leader in technology, we do not have the choice of just upgrading to new technologies produced in another country. So we must create new technologies if we want our economy to grow. There are two ways to encourage the creation of new technologies; government funding or private investment in inventions. Government spending on research and development is not nearly as effective as private spending for all the same reasons that government spending is always wasteful. A study by the Small Business Administration shows that most emerging technologies are invented by small entrepreneurial start-ups. Unfortunately, since 2000 the U.S. has undermined the three foundations on which technology start-ups are based. Those three foundations are intellectual capital, financial capital, and human capital. We weakened the intellectual capital foundation by weakening our patent system, we weakened the financial capital foundation with the passage of Sarbanes Oxley, and the human capital foundation was weakened by the accounting rules that required the expensing of stock options. Since my book was published the financial capital foundation has been further undermined by the passage of the financial reform bill. There has been no change on the human capital front. There is mixed news on the intellectual capital front. The good news is that David Kappos replaced the incompetent and traitorous Jon Dudas as the head of the Patent Office. The bad news is that Supreme Court again illustrated their utter incompetence in the Bilski decision. For more information, see The US Economy and the State of Innovation. These problems are being exacerbated by the budgetary issues associated with aging baby boomers. The Obama and Bush administrations compounded these problems by expanding Medicare to prescription drugs and the passage of Obama Care. Presently, Medicare/Medicaid and the Children’s Health Insurance Program (CHIP) represent 21 percent of the federal budget. Social Security represents about 20 percent of the federal budget and interest payments represent about 8 percent of the federal budget. It is estimated that about 10,000 baby boomers will go on Medicare per day for the next twenty years. However, about 5000 seniors are dying per day. Each Medicare recipient costs about $10,500, so Medicare costs will expand by $185 billion dollars (today’s dollars) or another 5% of the federal budget. Roughly, the same calculation applies to social security. So Medicare and Social Security will consume approximately 50% of the U.S. federal budget by 2020. In addition, the interest payments are likely to consume around 30% of the U.S. federal budget. This means that 80% of the federal budget will be spoken for. This does not include any additional costs for Obama Care. It is unlikely that the federal budget as a percentage of the economy can grow, since the U.S. had to borrow one third of the federal budget in 2010. Here are my predictions for the next decade based on this background. I provide an optimistic, most likely, and pessimistic scenarios. Note these scenarios are based on what I believe is most likely to occur, not what I believe is the best that could be done or the worst that could be done to the U.S. economy. Properties rights of all kinds will continue to be weakened. It appears that you can get a PhD. in economics (or even win the Nobel Prize) without understanding even the most basic ideas of property rights and how they affect a free economy. Even so called free market economists forget that Reagan not only cut tax rates, he strengthened property rights. 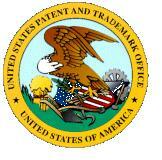 Particularly he strengthened patent rights – for more information click here. He also strengthened property rights by weakening regulations and weakening the power of unions. A number of so-called free market economists do not understand that property rights are based on productive activity. As a result, they have joined in an all attack on property rights for inventions – patents. For more information see Scarcity Does it Prove Intellectual Property is Unjustified. There does not appear to be any meaningful ground swell against Sarbanes Oxley and the Financial Reform Bill. As a result, entrepreneurial companies will be starved for financial capital. Because it appears very unlikely we will strengthen property rights for inventions or property rights generally or strengthen our capital markets so they work for start-up companies, the most optimist scenario is limited to subpar growth. The growth of the Internet will result in a continued decline in commercial real estate values under all scenarios. Commodity prices are likely to increase, inflation adjusted, under all circumstance. Growth in China and inflation will drive this increase in commodity prices. This scenario assumes that the U.S. faces up to its budgetary problems, repeals Obama Care, and rationalizes it tax structure. This scenario assumes that Obama is not elected for a second term. Government spending will grow slightly as a percentage of GDP. Supply Side economists would probably consider this enough to create vigorous economic growth. However, it does nothing to really encourage investment in new technologies. As a result, real inflation adjusted GDP growth over the decade will probably be around 2%. Median household family income after taxes will be stagnant. This will be two decades during which median household income has not grown in the U.S. I believe that will be the first time in the history of the U.S. this has occurred. The housing market is likely to be stagnant since family incomes will be stagnant. Inflation is likely to run 4-6%, but this will not be enough to cause appreciation in housing prices. In fact, inflation adjusted housing prices will likely decline. The best economic opportunities will be in government related jobs or businesses. Commodity based business will also prosper. Technology entrepreneurs will be few and far between. Unemployment numbers will hover between 7-9% throughout the whole decade – this will be the new normal. The U.S. will no longer be the largest economy in the world and based on per capita income among large countries the U.S. may fall below the top ten in the world. The U.S. will also be one among many equals in technological and scientific leadership. All social ills will increase slowly including crime, number of welfare dependents, and black market transactions. This scenario assumes that the U.S. will not face up to its budgetary problems and Obama Care will not be repealed completely. Under this scenario, the U.S. will go from financial crisis to financial crisis. Each financial crisis will be meet with a short term band-aid solutions. Federal government spending will grow to at least 30% of GDP and total government spending will be 50-60% of GDP. Inflation will grow to 10-14% by the end of the decade. Despite this, housing prices will not keep up with inflation. Median household family income after taxes will decline by 2-7%. Official GDP numbers will show slightly negative growth, but this will over state the actual growth rate. The best economic opportunities will be in government related jobs or businesses. Commodity based business will also prosper. The financial differences between those who are in the government’s favor and those who are not will be huge. Technology entrepreneurs will be almost nonexistent. The brain drain from the U.S. will be apparent and a cause for anxiety. Unemployment numbers will hover between 9-15% throughout the whole decade. The U.S. will no longer be the largest economy in the world and based on per capita income among large countries the U.S. will fall well below the top ten in the world. The U.S. will also be a declining power in technology and science. All social ills will increase moderately including crime, number of welfare dependents, and black market transactions. The chance of a major war in the world will be moderate. The U.S. will not face up to its budgetary issues even to get through a crisis. The U.S. will either literally default on its debt or inflation will be over 20% or both. Multiple states will go bankrupt and be bailed out by the federal government. Tax burdens will skyrocket as will the black market. Housing prices will decrease significantly except in extremely exclusively neighborhoods. Social order will collapse. The pretense that the U.S. is a nation of laws or that the Constitution has any meaning will be completely destroyed. There is a possibility (15%) that there will be a military coup. Alternatively or in combination there is a possibility that the U.S. will break up into a number of separate countries. Many parts of the U.S. will decide that it no longer makes sense to support Washington, Wall Street and parts of California that have become use to crony capitalism and government handouts. The brain drain from the U.S. will be well known and huge. This may be the driver for politicians and voters to demand real reform. China and India will dominate the world economy. Unfortunately, neither will likely fill the U.S.’s shoes and become a technological and scientific leader. Singapore will likely be the richest country in the world on a per capita basis by a large margin. They will be the major center of technological and scientific research. The chance of a major war in the world will be probably. The best reason to be more optimistic is that the U.S. has never had two bad decades in a row. In the late 1930s and late 1970s there was no reason to suppose that the U.S. would right itself economically. We pulled out the 1930s because Roosevelt realized that he had to adopt pro-business policies if the U.S. was to have any chance of winning World War II and so did the voters. In the 70s, there was little hope that the U.S., let alone England, would pull out of the inflationary spiral, increase unionization, increased regulation, increasing government spending and entitlements. However, there was the glimmer of Ronald Reagan and a surge of free market economists such as Milton Friedman, who still understood property rights. Unfortunately, I do not see a Ronald Reagan on the horizon and many of today’s free market economists are overly focused on the detrimental effects of Federal Reserve and high marginal tax rates. Very few seem to understand the importance of strengthening property rights, particularly for inventions or the need to free up our capital markets from regulation. I hope I am wrong and there is a politician who understands property rights, particularly for inventions, and the need to free up our capital markets, while having the strength to stand up to government unions and special interests. 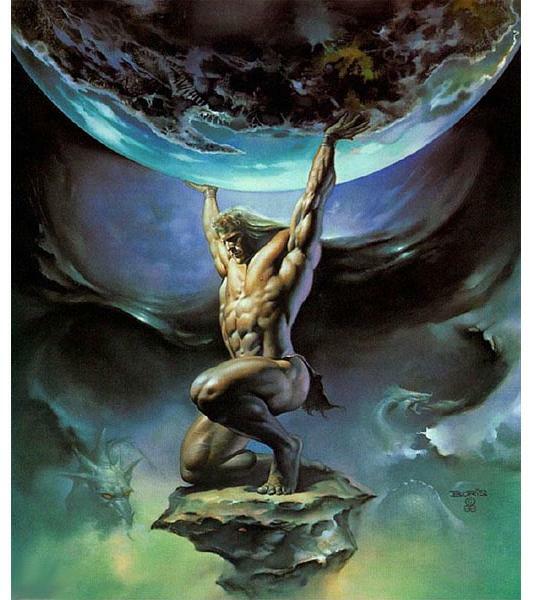 I cannot decide if we are seeing the collapse of Western Civilization under the weight of the welfare state (socialism) or if we are seeing the last hurrah of the welfare state. Ron Paul and Newt Gingrich have advocated eliminating SOX. Patents are often analyzed as monopolies or rent seeking. Patents are clearly not a monopoly. A monopoly give the exclusive right to sell a product or service. A patent does not give the holder this right. For more information see The Myth that Patents are Monopoly. The concept of economic rent is a more useful concept than monopoly for analyzing patent law. In the typical patent case production will either remain the same or increase compared to the pre-patent situation. As a result of the invention, protected by the patent, the inventor has a cost advantage that allows him to make more money–economic rent–than his competitors. In that sense there is no restriction of production and hence no monopoly. Economic rent is defined in Wikipedia as “excess returns” above “normal levels” and they are associated with a lack of competition in markets. What is meant by “normal levels” of return? Is it the same return that a person could make by putting their money in the bank? Or is the same return a person could make by investing in the stock market? Or is the same return that a person could make by investing in non-inventive manufacturing or service business? The concept of “excess returns” suffers from the same flaws as all socialist concepts of fairness – who decides? The concept of “excess returns” only makes any sense statistically. We are not talking about the returns from a specific patented invention, but the average return from inventing versus other economic investments. In addition, it only makes sense to compare the return on patented inventions to investments in private manufacturing or private service businesses. Let’s assume that the people who suggest that patents are rent seeking mean, patent holders are on average (statistically) receiving a higher return (excess return) compared to other similar private investments. For simplicity I will assume a private manufacturing business. Based on these assumptions, would the fact that investors in patent inventions (hereinafter inventors) receive a higher return than other manufacturing business be bad for the economy or bad for consumers? Let’s be clear that most commentators who state that patent holders are rent seekers, believe this would be damning evidence against patents. There are several possible scenarios that meet the assumptions above: 1) inventors receive normal returns on manufacturing their invention, 2) inventors receive normal returns both on their manufacturing costs and their cost of inventing, 3) inventors receive normal returns both on their manufacturing costs and the risk adjusted costs of inventing and marketing a new invention, and 4) inventors receive excess returns both on their manufacturing costs and the risk adjusted costs of inventing and marketing a new invention. My post Invention – A Financial Analysis , created the following mathematical model for the cost of inventing. Where Ci is the cost of creating a product for the owner of the invention, Inv is the cost of creating the invention, P is probability of that the invention will succeed in the market, Mi is the incremental marketing and sales cost of introducing a new invention, n is the number of products that have been produced, NRE is the nonrecurring engineering cost of setting up production, PC is the production cost of the making n products and OH is the cost of overhead for producing n products, Cmt is the cost of creating a me-too product. I will use this mathematical model to analyze the four scenarios discussed above. In the above equation this means that the inventor can receive no compensation for cost of invention (Inv), the cost of marketing a new invention (Mi), or for the probability of success (P). This means that the inventor will never be able to justify the cost of inventing (Inv, Mi, p), since it is a sunk cost that will always cause the inventor’s return to be less than they would receive by investing in other manufacturing businesses. Why undertake the cost, risk, and hassle of inventing when you can obtain better returns by investing in any random manufacturing industry. If this is patent critics’ idea of rent seeking, then they will essentially kill off all but accidental inventing and inventions that can be kept a trade secret. It will also kill off all venture capital. In this scenario inventors are allowed to receive normal returns on their inventing costs (Inv) and their manufacturing costs (NRE, PC, OH). However, this does not compensate them for costs of marketing the invention (Mi) or their probability of success (P). While this makes inventing slightly more favorable, it still does not justify investing in inventing instead of any random manufacturing industry. If this is patent critics’ idea of rent seeking, then they will essentially kill off all but accidental inventing and inventions that can be kept a trade secret. It will also kill off all venture capital. Now this scenario sounds fair. Inventors (statistically) are compensated for all their true costs and risks. Inventors are in exactly the same position as investors in any other (manufacturing) business. In addition, inventors have the random chance of hitting the jackpot. This supposedly fair mined solution to the problem of rent seeking by patent holders ignores the return received by the beneficiaries of the invention (hereinafter society). Is this a fair solution if society receives an “excess return” when they buy (use) the invention? Let’s look at a real world example to illustrate this point. Because of the cotton gin, US cotton exports change from less than 500,000 pounds in 1793 to 93 million pounds by 1810. A single cotton gin could generate up to 55 pounds of cleaned cotton daily a 25 fold improvement over previous methods. So Eli Whitney would receive a 10% or so return on his invention, while society (cotton farmers – owners of the cotton gin) would receive a 2500% return. Why is it fair for Eli Whitney to receive a “normal return” of say 10% on his efforts while the purchasers of his cotton gin receive a 2500% return on their investment? Who is the real rent seeker in this situation? Is the Eli Whitney case an outlier case? Real world purchasers in a B to B situation will only purchase an inventive product if they will receive more than an “normal return.” If an invention only provides a “normal return” to the purchaser, then they will have a wide variety of known devices that will provide them average return. There is no reason to select an inventive product that is going to require the purchaser to learn a new product and possibly alter their existing processes when they can get the same return from existing choices. Similarly, no rational investor is going to invest in an invention if they can obtain the same return by investing in a number of other known projects. This shows that in the real world both the inventor and the purchaser have to receive excess returns for an invention to be successful. We know that neither the inventor nor the purchaser of the invention is expecting a normal return. An invention will only be successful if both the buyers and the inventor receive an above normal return on their investment. The inventor and the buyer are both rent seeking according to standard economic theory, which shows that the concept of “rent seeking” is seriously flawed. I propose that real rent seeking is when one party to a transaction obtains above normal returns and while the other party obtains below normal returns. It is clear that the real rent seekers are not patent holders but a society that wants to obtain the benefits of new technologies without paying the creators of these new technologies. This is the only scenario under which inventing can be encouraged. As explained above, both the inventor and the purchasers must receive above normal returns in order for the invention to successful in a free market economy. This is the very definition of how economic progress occurs. Economic progress (real increases in per capita GDP or per capita income) only occur because of increases in our level of technology. Our patent system has to provide excess returns above normal levels for inventors if we want our economy and standard of living to increase. 35 USC 154  Dam, Kenneth W., THE ECONOMIC UNDERPINNINGS OF PATENT LAW, JOHN M. OLIN LAW & ECONOMICS WORKING PAPER NO. 19 (2D SERIES), http://www.law.uchicago.edu/files/files/19.Dam_.Patent.pdf, p.4. Wikipedia, Opportunity Costs, http://en.wikipedia.org/wiki/Opportunity_cost, 8/24/10. Wikipedia, Eli Whitney, Jr., http://en.wikipedia.org/wiki/Eli_Whitney,_Jr., 8/24/10. Wikipedia, Eli Whitney, Jr., http://en.wikipedia.org/wiki/Eli_Whitney,_Jr., 8/24/10. Gordon, John Steele, An Empire of Wealth: The Epic History of American Economic Power, Harper Perennial, New York, 2004, p. 84.